I Really need a blackboard to fill with images, lines, rectangles and texts when i talk with someone. I think that is very useful when you're trying to explain something something to someone. 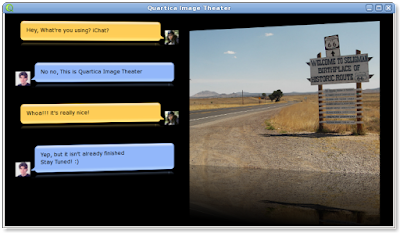 This is the current status of Quartica Image Theater. Nice, But it could be more nicer. Suggestions are always accepted!